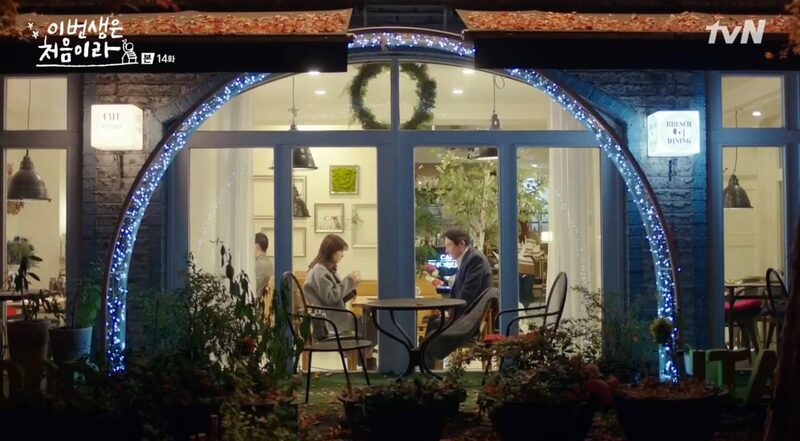 Bok Seung-ah (Kwon Yu-ri of Girls’ Generation) waits at this cafe for Han Jung-sik (Kim Hyun-joon), in episode 22 (full episode 11) of Dae Jang Geum Is Watching / The Great Jang-geum Is Watching / Jang Geum, Oh My Grandma (대장금이 보고 있다) (MBC, 2018-19), not knowing that the latter had run into an accident en route to meeting her. 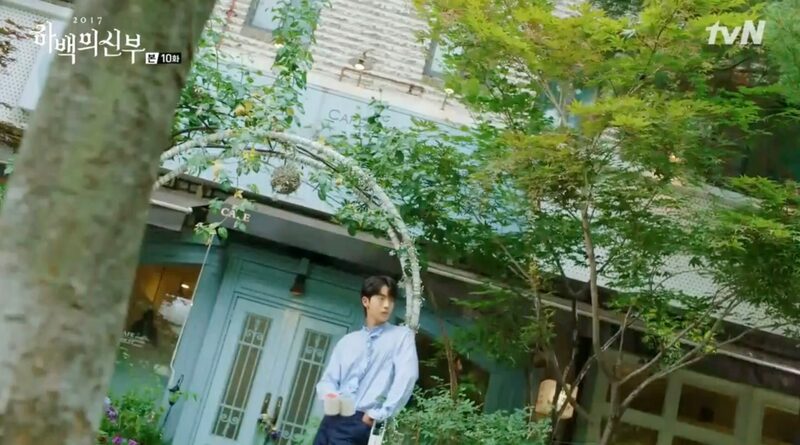 Yoo Chan (Ahn Hyo-Seop) walks back home with his high school buddies Han Deok-Soo (Jo Hyun-Sik) and Dong Hae-Beom (Lee Do-Hyun) after their training and saves a bird chick on the street in front of this café in episode 2 of Still 17 / Thirty But Seventeen / 30 But 17 (서른이지만 열일곱입니다) (SBS, 2018). 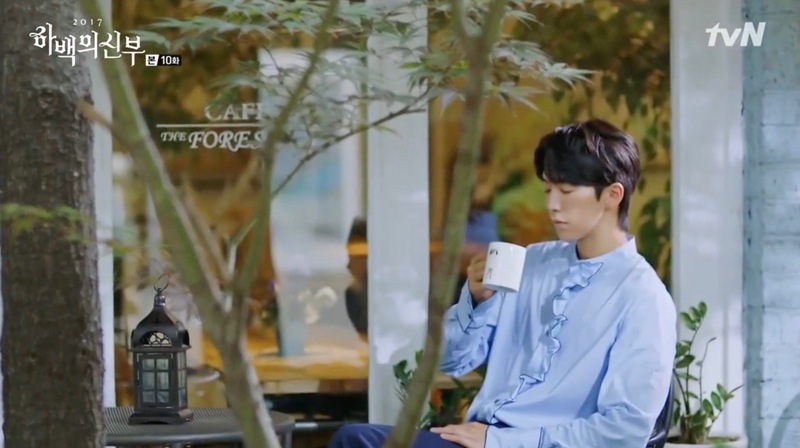 The (fictive) bus stop of the ‘Taesan High School Rowing Club’ is also located at the main street in front of this café and Yoo Chan (Ahn Hyo-Seop) gets off with his high school friends here in episode 13 (Lee Ree-An (Jo Yoo-Jung) waiting for him already) and in episode 14. 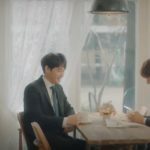 Kim Joon-ah (Kim Gyu-ri) meets up with Choi Michaela (Lee Sung-kyung) here in episode 10 of About Time (멈추고 싶은 순간: 어바웃타임) (tvN, 2018) and gives her the scripts of ‘The Curious Case of Yeon Hee’ with her notes for characterization as her goodbye gift to Michaela before she leaves South Korea again after quitting the production. 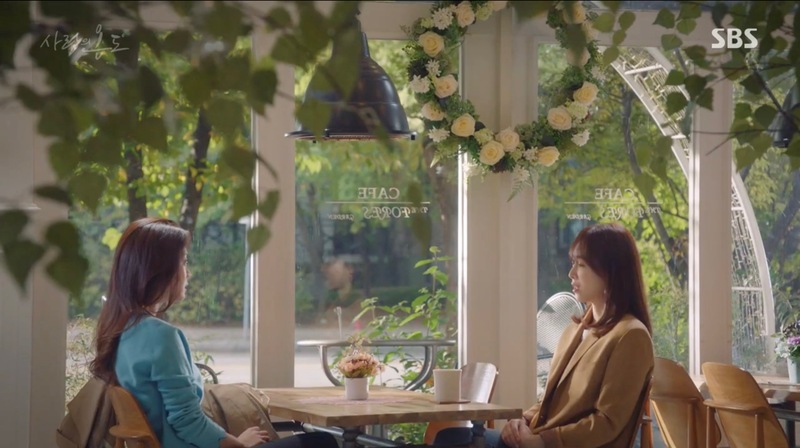 She also tells Michaela to not give up on Do-ha especially since she’s the one who’s making him happy right now; she tells her he’s someone who deserves complete happiness. 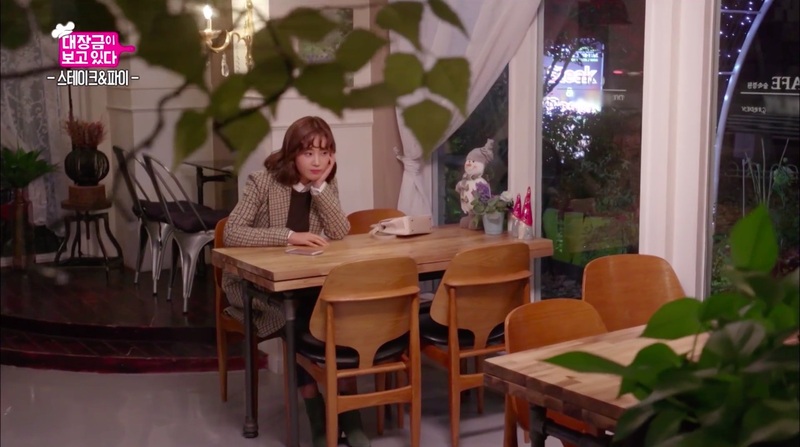 Kim Bo-Ra (Ha Yeon-Soo) prepares her gifts that she bought with her first pay check for her family members and friends and her two bosses in company of her best friend Park Mi-So (Yoon Da-Young) here in episode 6 Rich Man (리치맨) (MBN, Dramax, 2018). 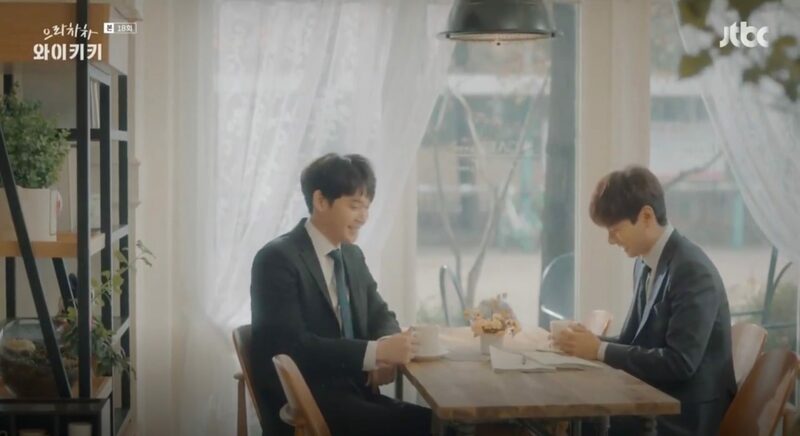 The drama director in which Lee Joon-Ki (Lee Yi-Kyung) plays a role, introduces the turtle Elizabeth to Joon-ki at this café in episode 18 of Eulachacha Waikiki/Laughter in Waikiki/Welcome to Waikiki (으라차차 와이키키) (JTBC, 2018) with which he has to play additional scenes right after a co-star has proposed to him that he can introduce him to the boss of his agency. 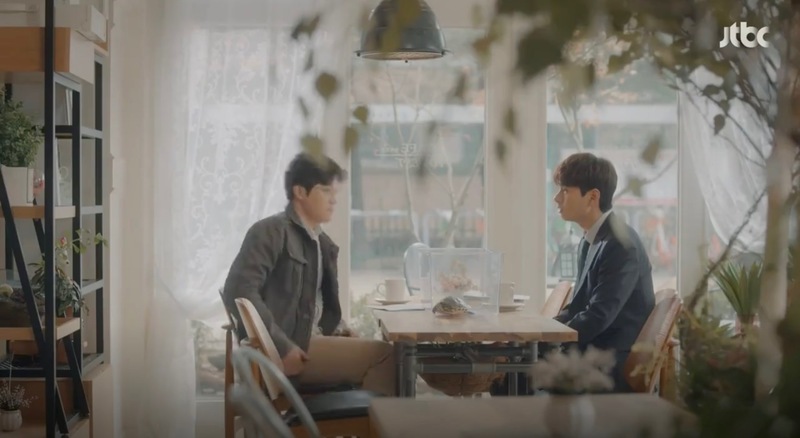 Han Seung-Tae (Sul Jung-Hwan), Han Seung-joo’s (Uee) brother meets here with Min-Hee (?) (Park Min-Ji) who wants to take part in his new business venture in episode 9 of My Husband Oh Jak-doo (데릴남편 오작두) (MBC, 2018). 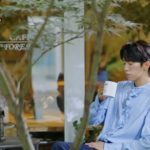 Nam Se-Hee’s (Lee Min-Ki) father asks to meet Yoon Ji-Ho (Jung So-Min) here in episode 14 of Because This Is My First Life/This Life Is Our First (이번 생은 처음이라) (tvN, 2017). 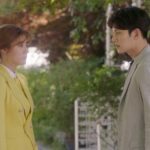 He tells her not to keep her job as a writer and become a housewife and mother but also a mediator between him and Se-hee. 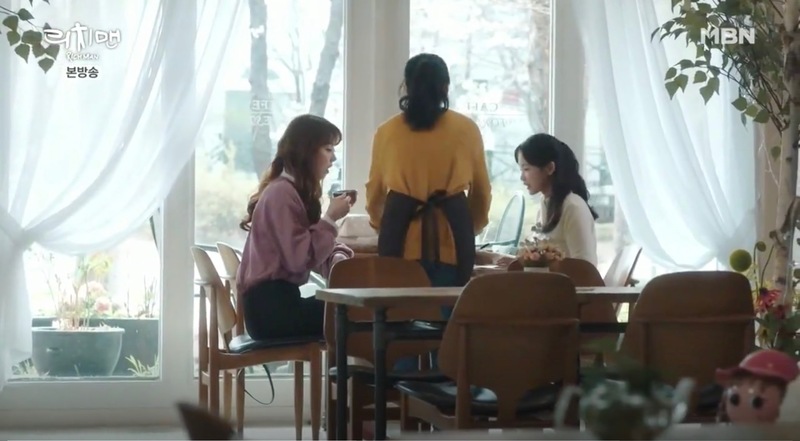 Hong Do-Hee (Ra Mi-Ran) passes by this café berating herself not to have a crush after she has passed by Park Seung-Woo’s (Kim Sa-Kwon) furniture workshop in episode 5 of Avengers Social Club (부암동 복수자들) (tvN, 2017). 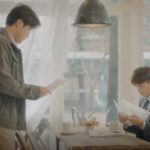 In episode 9, Lee Mi-Sook (Myung Se-Bin) gives an interview here explaining that her son committed suicide. 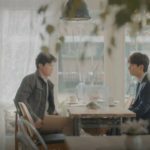 Lee Hyun-Soo (Seo Hyun-Jin) and Ji Hong-Ah (Jo Bo-Ah) meet up here in episode 17 of Temperature of Love (사랑의 온도) (SBS, 2017) to talk things out. 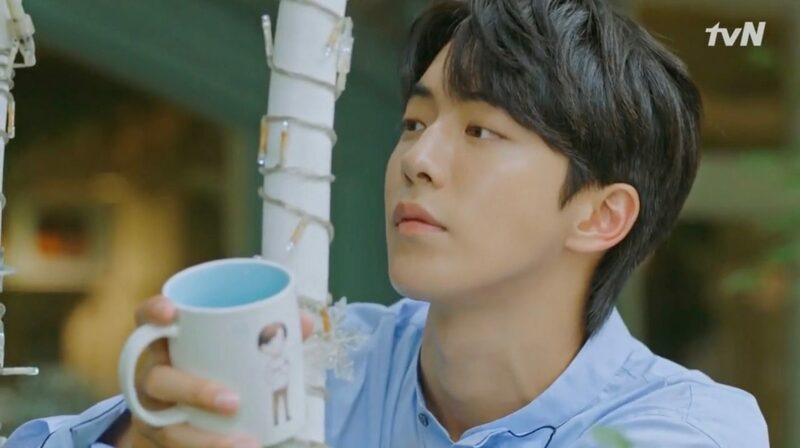 To be able to buy couple mugs for Yoon So-ah (Shin Se-kyung), Habaek (Nam Joo-hyuk) models for the vendor, with The Forest Garden as shooting background in episode 10 of Bride of the Water God 2017/The Bride of Habaek (하백의 신부 2017) (tvN, 2017). In episode 12, So-ah passes by here wistfully, after having bought the fitting doll to the couple cups. 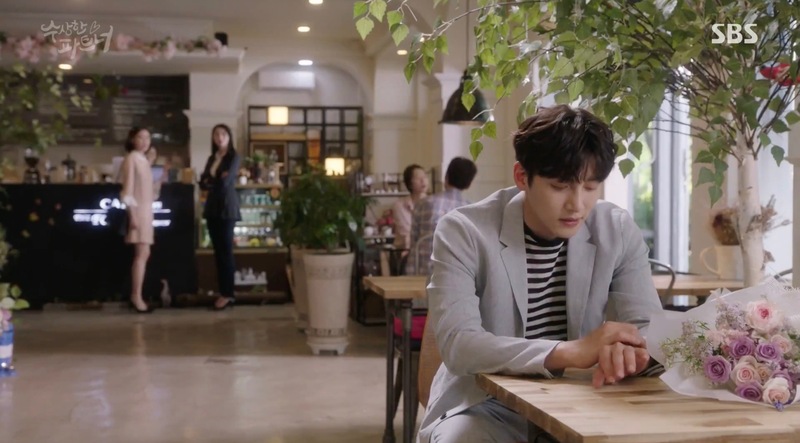 This is where Eun Bong Hee (Nam Ji-Hyun) was supposed to give her answer to Noh Ji Wook (Ji Chang-Wook) regarding the status of their relationship in episode 22 of Suspicious Partner (수상한 파트너) (SBS, 2017). But she finally decides not to do so and turns around just before entering the café. 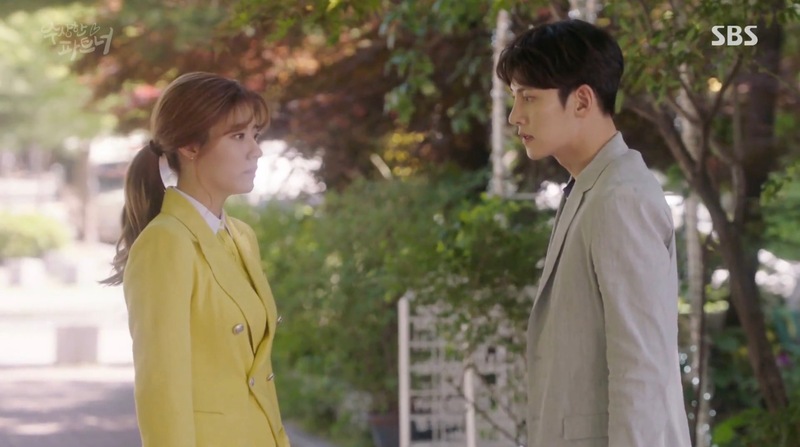 She takes Ji-wook’s ex-girlfriend Cha Yoo-Jung (Nara) as an excuse who is also present. 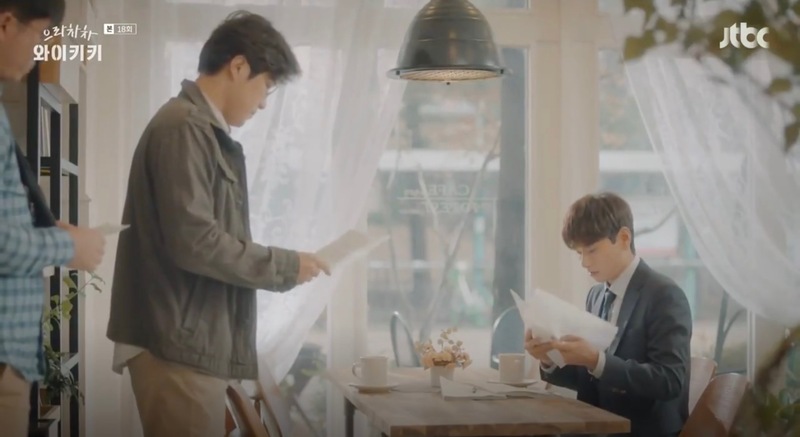 Do Hae-Gang (Kim Hyun-Joo) and Choi Jin-Eon (Ji Jin-Hee) come here in episode 15 of I Have A Lover [애인있어요] (SBS, 2015-16). 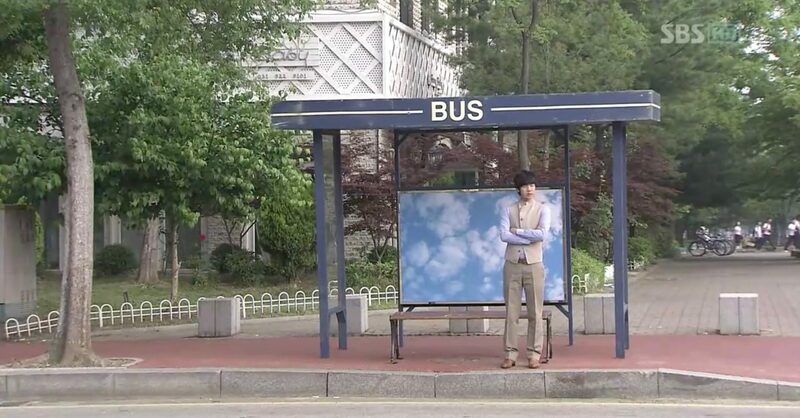 The fake bus stop (yes! they existed already in 2009!) 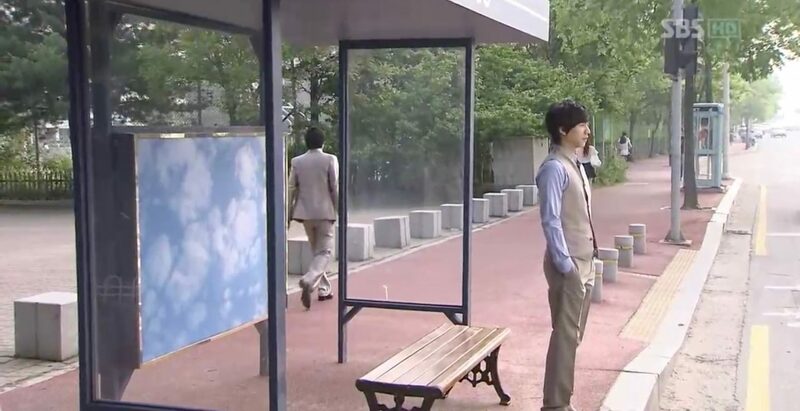 that Seon Woo-Hwan (Lee Seung-Ki) waits at in episode 16 of Brilliant Legacy/Shining Inheritance (찬란한 유산) (SBS, 2009) to go back home from his job (looking wistfully at the place where Ko Eun-Seong [Han Hyo-Joo] would normally sit at the bus stop) is located in front of this café. 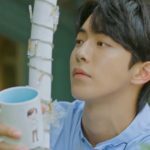 Also seen in: Our Gap-soon/Perfect Bride (우리갑순이) (SBS, 2016-17); Working Mother, Babysitter Father/Working Mom Parenting Daddy (워킹맘 육아대디) (MBC, 2016), Good Person (좋은사람) (MBC, 2016); Begin Again (다시시작해) (MBC, 2016). 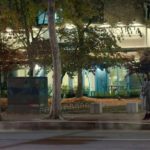 The Forest Garden [숲속정원] is an Italian restaurant that is located in Goyang’s neighborhood Jeongbalsan-dong [정발산동] in the Ilsan District [Ilsandong-gu/일산동구]. 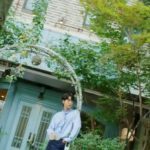 Formerly, and until at least August 2016, it was known as Cafe Vintage Attic [빈티지다락방]. 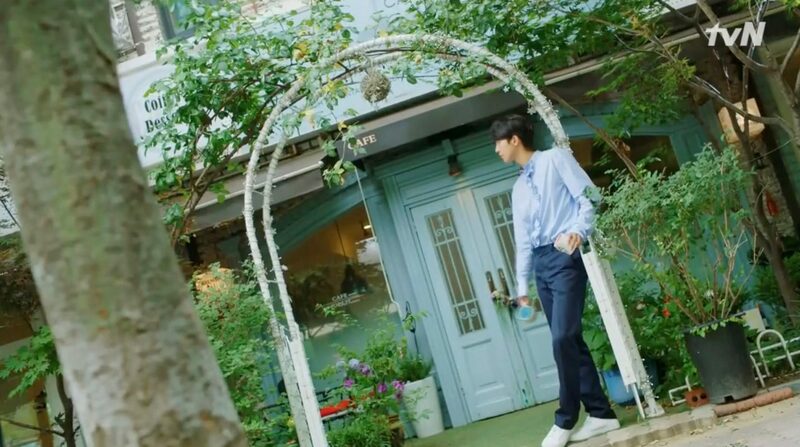 And even before that and at least until 2009 (as seen in Brilliant Legacy), it was a children’s photo studio named ‘Bonnie Baby Studio’.